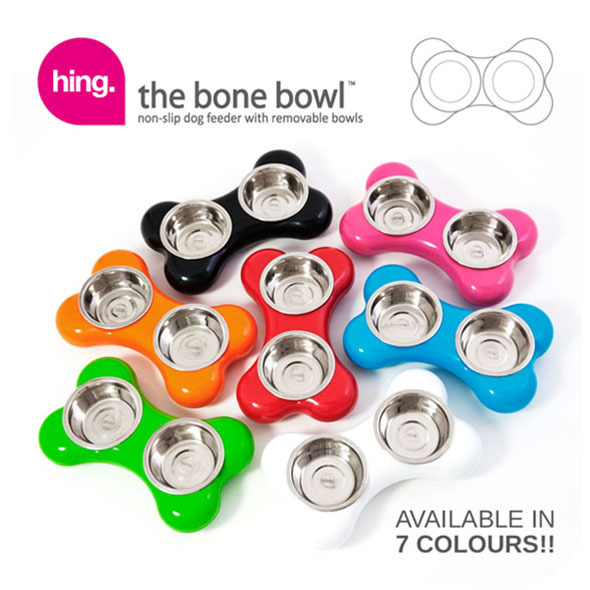 Give your dog a bone! 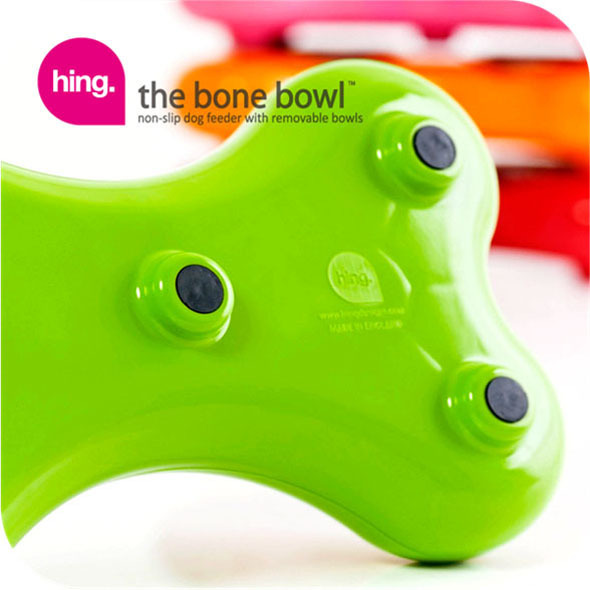 The Bone Bowl is a brilliant bone-shaped dog bowl that makes a fantastically funky alternative to the standard doggie dish. 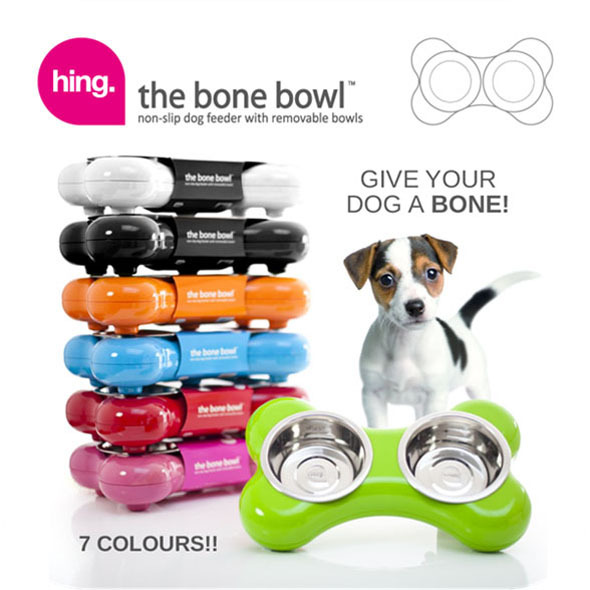 The bone-shaped dog bowl comes in a range of cool colours, from rover red to bow-wow blue, and the twin stainless steel bowls allow you to serve your dog their food and water in style. 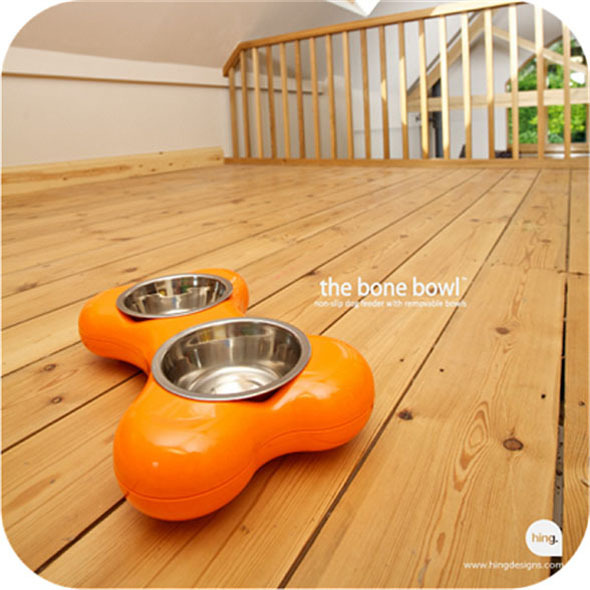 This is the smaller version of the bone bowl - perfect for little pups! 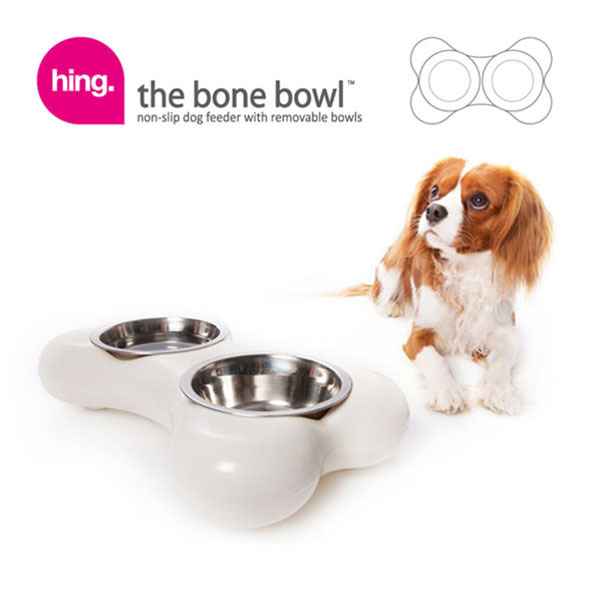 If your dog has a larger appetite, check out our Large Bone Bowl instead. 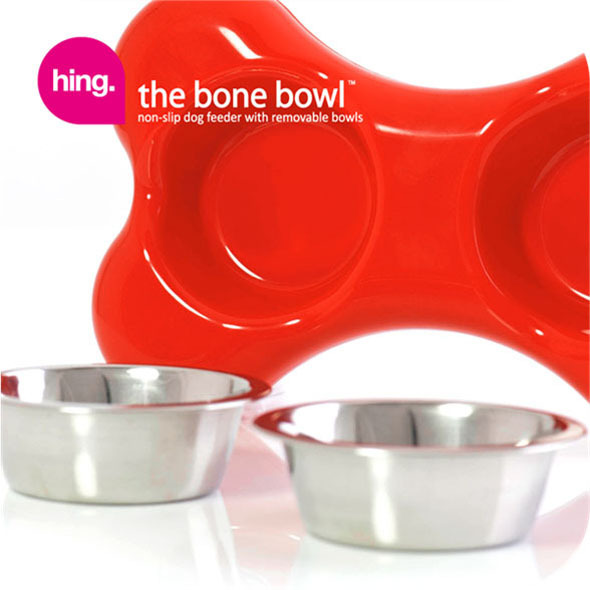 Ideal for puppies and smaller dogs, the Bone Bowl is the ultimate eating accessory for modern, fashion-conscious dogs! 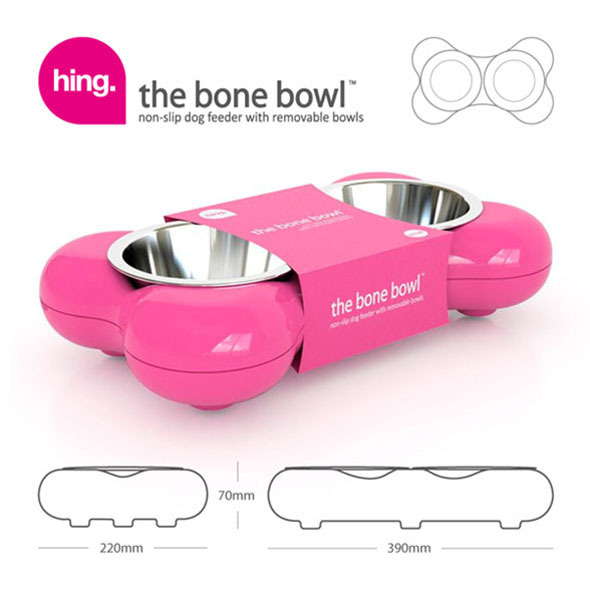 Available in a range of colours, the bone-shaped feeding station is simple to clean and holds plenty of food and water for the growing dog. 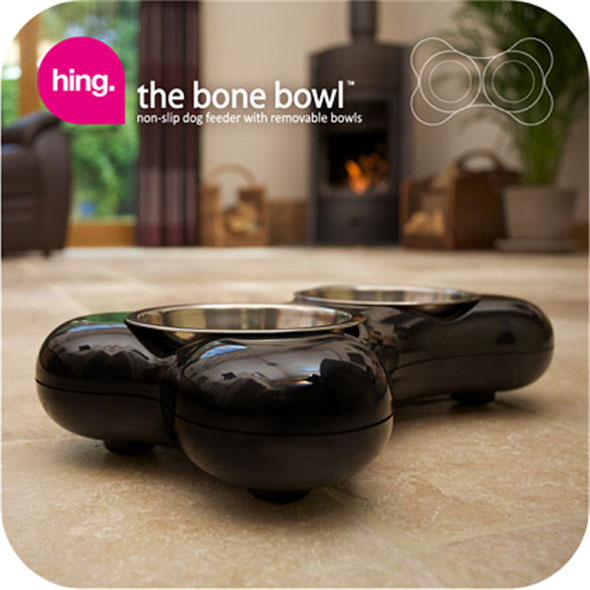 Oh, and obviously, we'd like to think that man's best friend will appreciate the design!